Co-founder Payal Kadakia says ClassPass is game-changing: "We've gotten people to commit." ClassPass pays gyms and boutique studios millions of dollars to fill empty spots in fitness classes. For $99 a month, ClassPass members can attend unlimited classes -- everything from cycling to pilates -- at 4,000 fitness studios in the U.S., U.K. and Canada. "We're there to help [studios] fill excess capacity," said Payal Kadakia, co-founder of ClassPass, the New York-based startup that bills itself as an alternative gym membership. Though ClassPass is not yet profitable, it's a growing entity. It has captured $54 million in funding since launching in June 2013. Last week it acquired competitor fitmob for an undisclosed price. It also launched an "international flex" program so members can access classes when traveling. Kadakia told CNNMoney that it's paid out $30 million to studios to date. And it's on track to pay out $100 million to businesses in 2015 alone. It is revenue that's typically lost for business owners, said Kadakia. But many question whether this "deal" is actually good for studio owners -- and if studios can convert ClassPass users into regular customers. Louis Coraggio, who runs boutique Manhattan studio TrampoLEAN, pulled the numbers for CNNMoney and found that wasn't happening. He said he's working with a business consultant to improve his brand and upsell ClassPass clients to full-price classes ($33 versus $16.50). Still, Coraggio said his business has increased by 200% since partnering with ClassPass, and he's been able to employ two instructors. But studios that treat ClassPass as free marketing don't have any complaints. "It can definitely help get people in the door," said Brandi Marino, owner of Dallas-based BEYOND Studios. "I just have to be flexible and think of other ways to drive revenue if the pricing is going to go down." Kelvin Gary, owner of New York-based Body Space Fitness, agreed. "If I had a marketing budget of $10,000, I'd spend that money on possibly contacting people that might have zero interest in what I have to offer," he said, adding that ClassPass is the only marketing he does. Gary also takes advantage of the free data that ClassPass offers studio owners. The startup collects reviews on studios (they have 2 million ratings to date). It also provides insight on the best time to open up a new class based on members' demands. 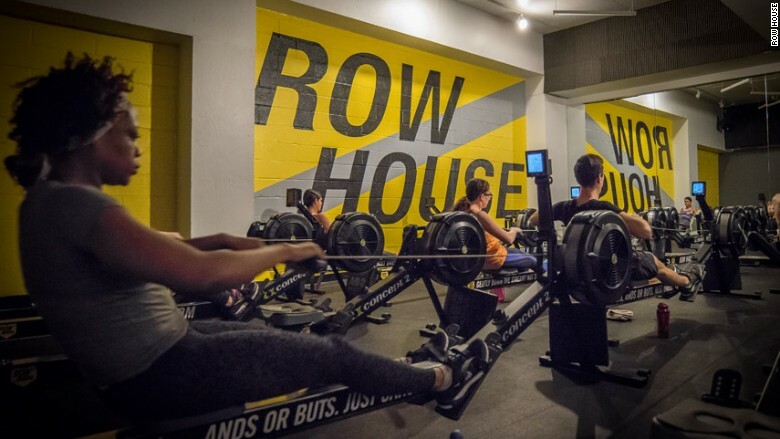 Studios like Row House take advantage of ClassPass to introduce new members to the studio. Studio owners' success depends on how they use that data. "They give you the ability to minimize or maximize it," said Debra Strougo Frohlich, who co-owns Row House and EVF Performance in New York City. She limits availability to prime-time classes (which tend to be popular on their own), and opens up more spaces during less popular times like the middle of the day. As it stands now, ClassPass limits its members to three classes at any one studio per month. That ensures it introduces members to a variety of classes, but it also keeps people from gaming the system and using ClassPass as an alternative to any one studio membership. Marco Guanilo of New York's Momentum Fitness said he chatted with other studio owners before joining ClassPass two weeks ago. 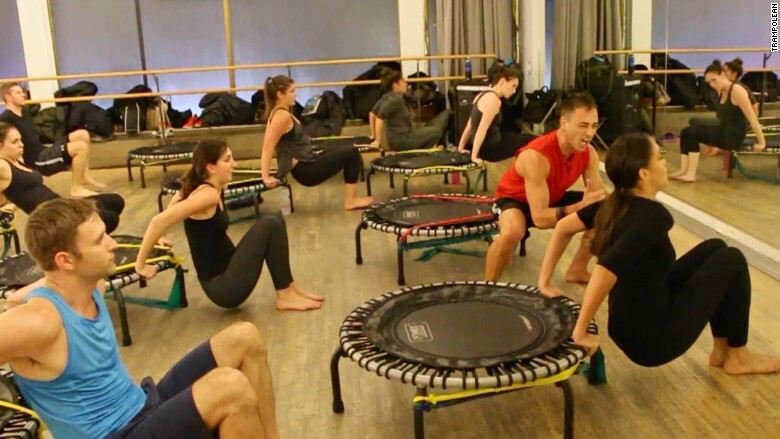 "The biggest complaint [I've heard] is that the classes get overly crowded with ClassPass people," he said. "We only allow one-third of classes to be registered through ClassPass." Guanilo plans to move Momentum Fitness to a larger space at the end of the summer. He said ClassPass provides a platform to spread the word about his business ahead of that move. "So far, we've gotten a great response. A lot of new faces, and we're starting to get some repeat people," he added.